Ships today if you order in the next 7 hours 7 minutes. 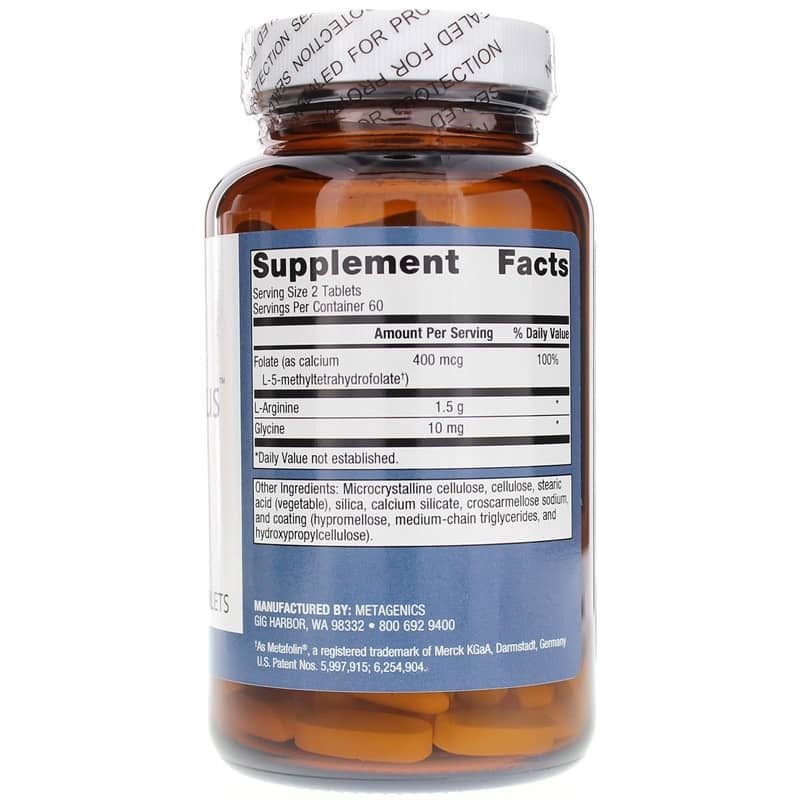 Arginine is an amino acid that is essential for optimal overall health and improved cardiovascular health. It can be found in foods like red meat, fish, dairy products, and poultry, but supplementation can be needed if your daily diet doesn't contain many of these foods. 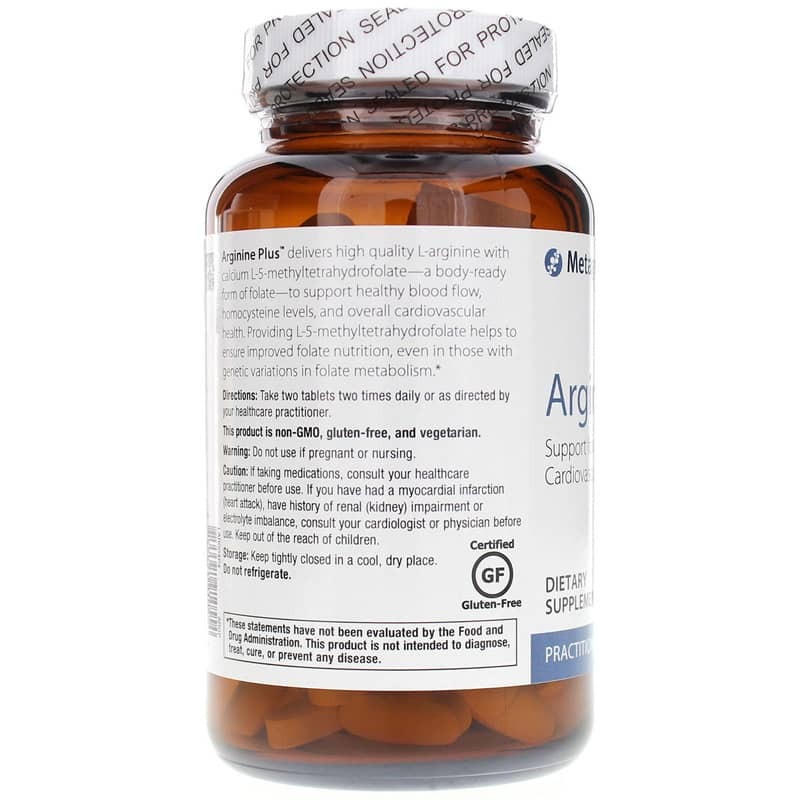 Arginine Plus from Metagenics is a quality product that delivers 1,500mg of L-arginine, as well as 400mcg of folate, and 10mg of L-glycine to support your heart health and blood flow. 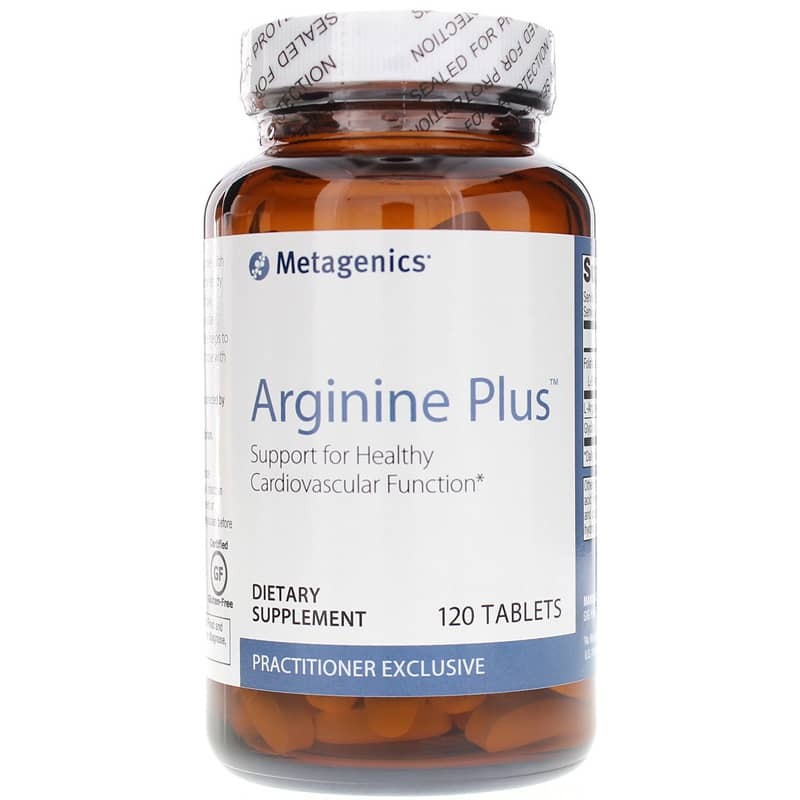 Give your body the arginine it needs to ensure a healthy cardiovascular system and healthy homoecysteine levels. Give Arginine Plus from Metagenics a try today! Other Ingredients: Microcrystalline cellulose, cellulose, stearic acid (vegetable), silica, calcium silicate, croscarmellose sodium, and coating (hypromellose, medium chain triglycerides, and hydroxypropylcellulose). Adults: Take two tablets two times daily or as recommended by your healthcare practitioner. Do NOT use if you are pregnant or nursing. If taking medications, consult your healthcare practitioner before use. If you have had a myocardial infarction consult your cardiologist before use. Keep out of the reach of children.